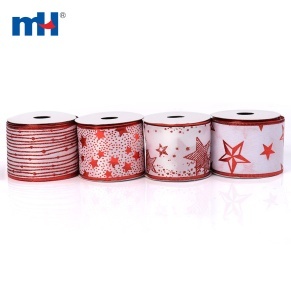 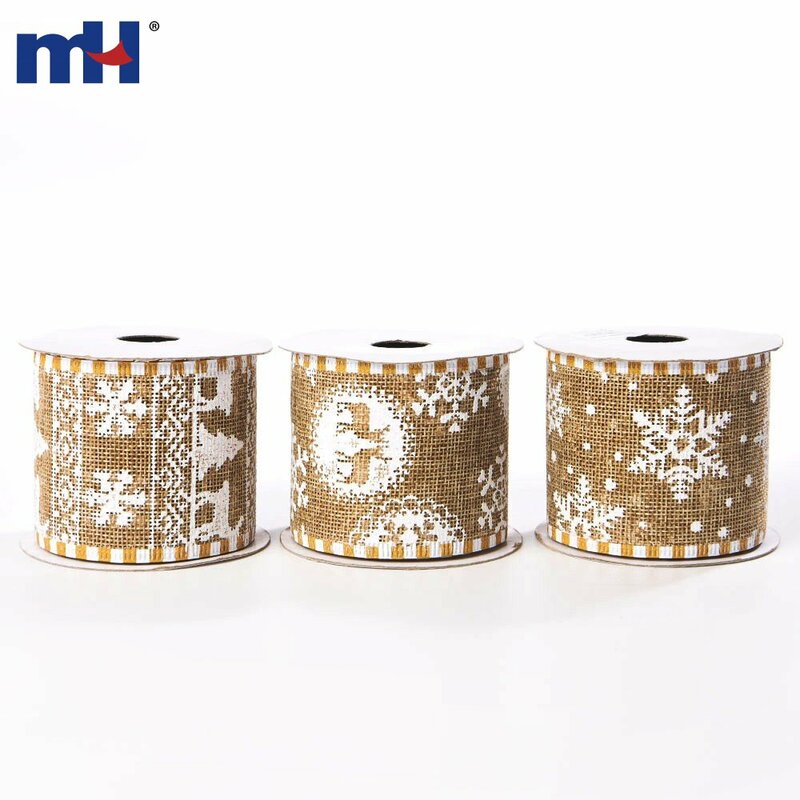 White snowflakes of different styles printed on faux burlap fabric. 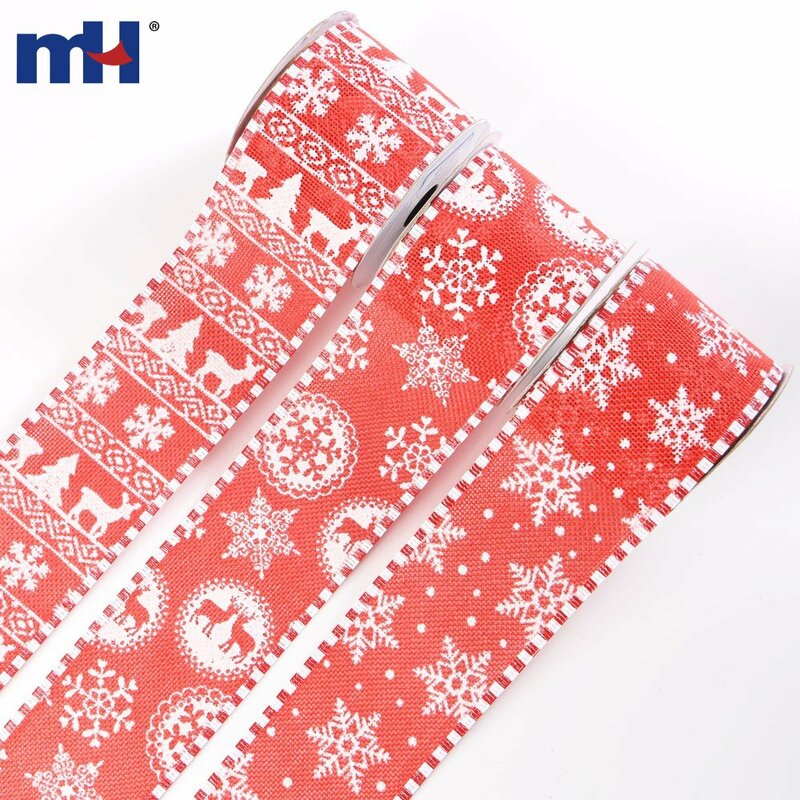 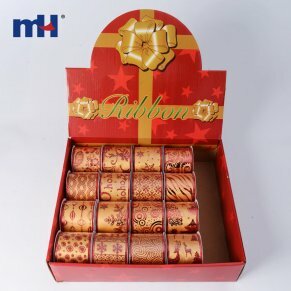 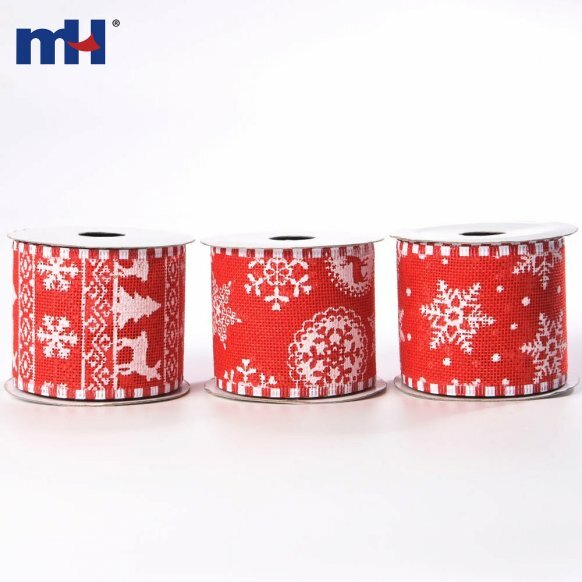 The rustic look makes this ribbon an ideal addition to your Christmas decorations, Christmas tree, gift package, bow, wreath, floral arrangements, home décor, craft projects and more! 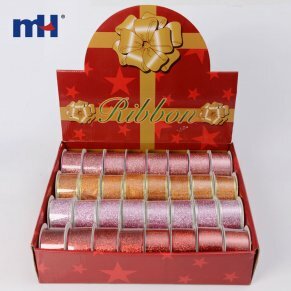 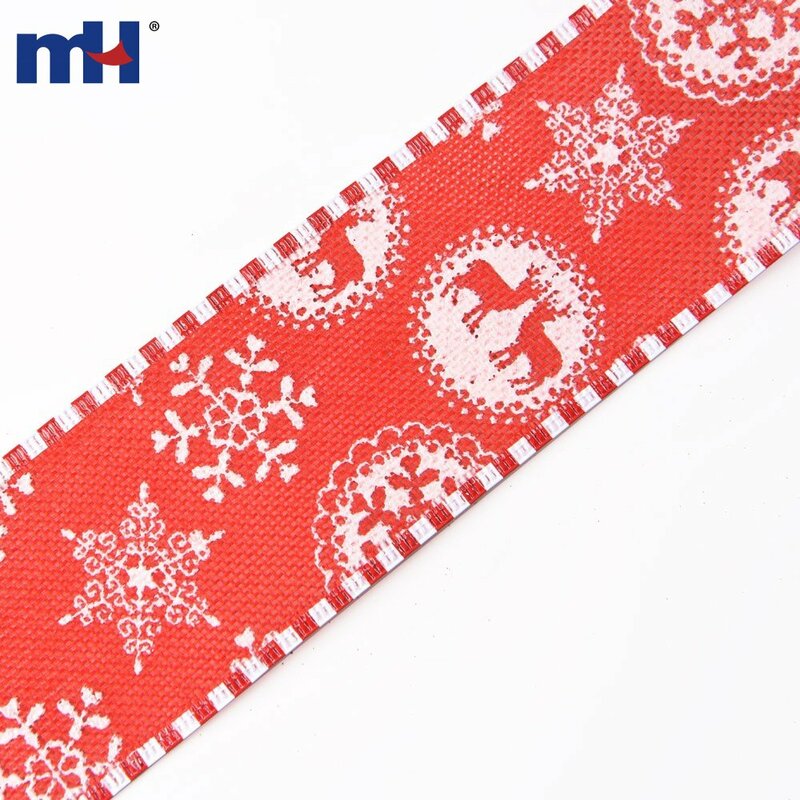 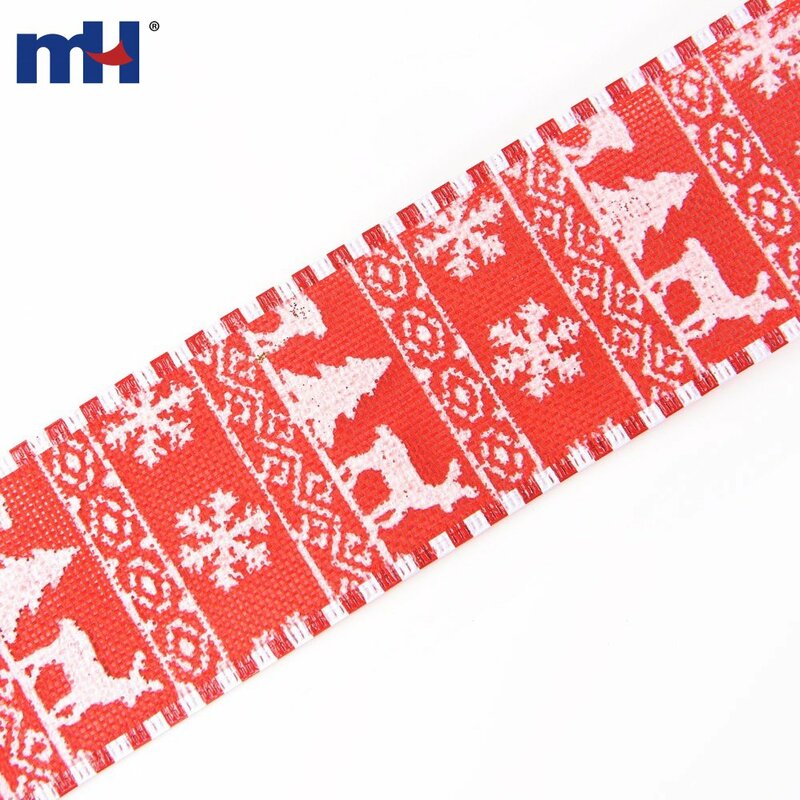 This ribbon is available in 2 fabric colors and comes in various widths. 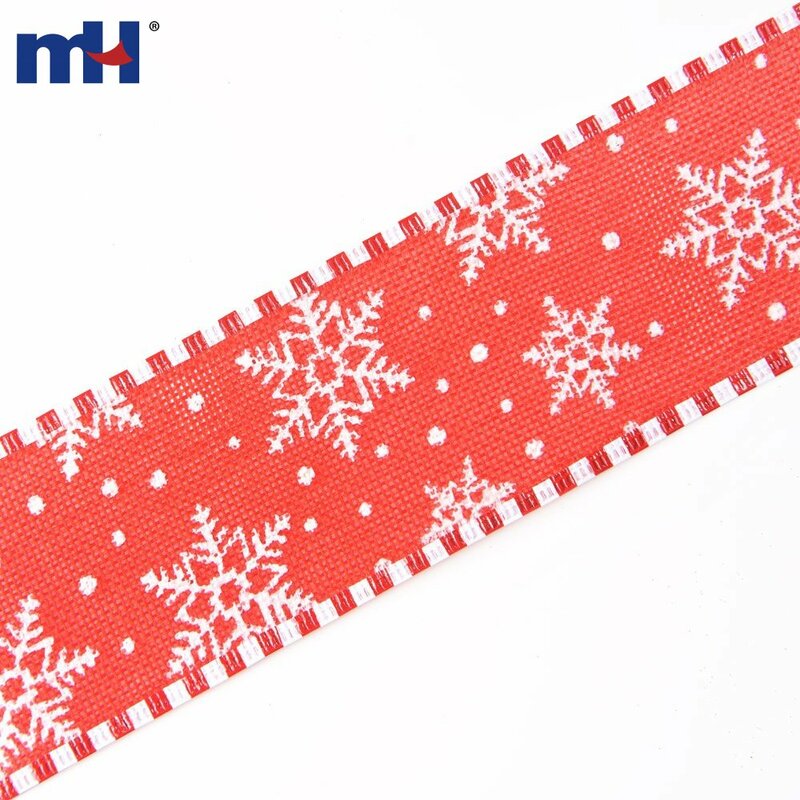 Its edge is sewn with matte matching thread and contains wire for you to bend and shape with ease.